This post is sponsored by Homewerks Worldwide. Yesterday, I promised to share with you the inspiration for my master bath makeover. And here it is: A blue-tooth enabled bath from Homewerks Worldwide. When I was first approached with this idea, I wasn't sure. But after I learned more about the fan, I thought it was a great! The idea behind the fan, is that you can upgrade your bathroom and bring a little bit of luxury in without having to spend a fortune. The fan is also a speaker where you can play music from your blue-tooth...eliminating the need for a sound system. 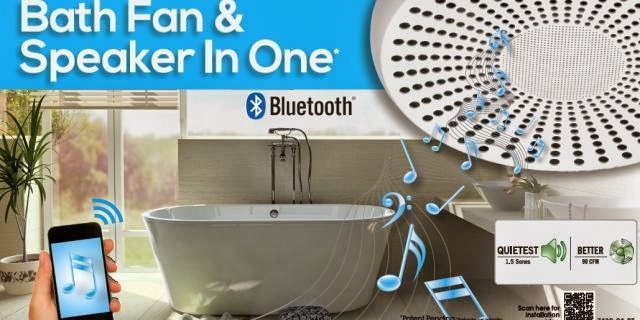 A perfect idea for someone like me who likes to relax in the tub with a little soft music! I received a fan to try in my bathroom...it included instructions on how to install it. I'll tell you...I can DIY a lot of things. But when it comes to installing things like this, a professional is the way to go. At least for me. Just an FYI. But I'll also tell you, this fan is coming with me to my next house. Yes it is. Check out this video to learn a bit more about it. And today, one lucky reader of the Shabby Nest will receive a blue-tooth bath fan of their very own as well as a $100 gift card to The Home Depot so you can add a little glamour to your bathroom! All you have to do to enter is to leave a comment on this post. The giveaway is open until Friday, October 11 at 11:59 PM MDT. A winner will be chosen at random and announced on the blog next week. And if you don't happen to win...don't fear. Homewerks Worldwide is giving away one fan per week until October 15 on their Facebook page. All you have to do to enter is "like" their page. This post was sponsored by Homewerks Worldwide, but the opinions expressed are 100% mine. All I keep thinking is party in the bathroom. Great product, interesting idea. That's a great idea, I'd love one of those! Take a bath, listen to some tunes.. perfect! What a great giveaway!!! I would love one, it sounds awesome!!! My son-in-law needs bathroom fans and would love this! Oh wow! Thanks for the great giveaway! We just started redoing our master bathroom and this would be the perfect touch! This is awesome! What a neat product. THIS IS AMAZING! 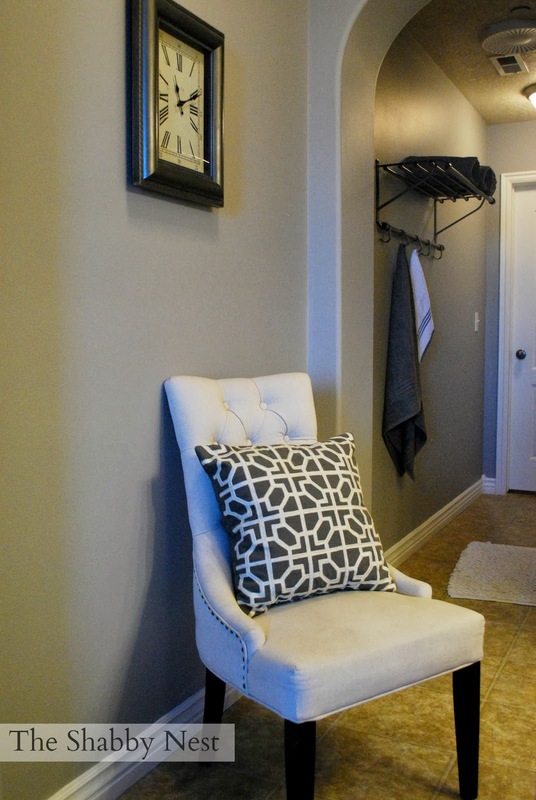 We are adding a special bathroom just for me in the basement and this would be perfect for that space! I would love to win one! Bath time is my time each night to relax escape and reflect. And music is always a must! looks like you have so much space in your bathroom. lucky you! This is just genius! My master bathroom, which is tiny, needs a makeover and currently doesn't have a fan at all so it would definitely set us in motion for a makeover. This would be a great addition to our master bath remodel. Wow this look so fun! I would love to add this to my small apartment bathroom! Luckily we get free rain on redecorating too! :) Thanks for this awesome opportunity! Awesome give away. I need a bathroom fan, even better with a speaker! I love your bathroom and the fan is a genius idea. This is such a neat idea! Would love to win! Oh My...Music with My Candles and Bath,Am Over the MOON in Love! This would be perfect in our master bath! Awesome! I would love this for our master bath! That idea is simply brilliant! You're bath is beautiful. Very inspiring. I would love this! My husband and I close on our first home in two weeks and get to update the entire house - including two bathrooms. Thanks for the great giveaway. This is a great product. Awesome product. What a nice way to relax. I would love to win this to update our bathroom. This would be a great update for my bathroom. I love the colors of the walls in yours! What a great idea - although I could seriously use this in every room in my house, and not just the bathroom. Yours looks great, BTW. I am usually a technophobe but this is a great idea and seems approachable for me, er, my husband to tackle! This is such an awesome giveaway. I would love this for our bathroom. A great way to energize myself in the morning with music. Nothing like relaxing in the tub with some beautiful music playing. Thanks for the chance to win the fan! 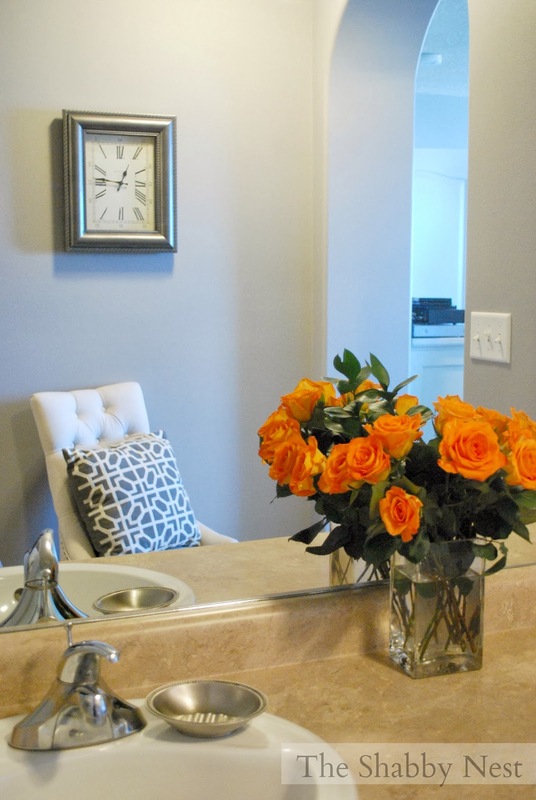 Your bathroom looks beautiful! I love music and a relaxing bath too. Thanks for the great giveaway! We are just in the planning stages of our renovation of the master bath and this fan/speaker would be an added bonus . we have so many projects to do at our new house! we've been making so many trips to home depot! This fan is so cool! I would LOVE to have this in my bathroom!! Amazing! Id love to have this in our home!! The Blue tooth fan sounds like a lot of fun, I would love to update my bathroom. brilliant idea - and I love your bathroom makeover! The bathroom in the video looks like a spa! I wish my bathrooms were bigger. we are a music loving family. Sometimes the weird spaces give way to the best design, because it forces you to think outside the box. I think your bathroom turned out great! I would love a fan/Bluetooth music. With 2 small girls, a dog, an early morning commute, any relaxing I can do in what little "me" time I have would be awesome! How fun. I'd love to listen to music while relaxing in the tub. You mean I can sing in the shower again? Awesome! Oh my husband would so love me if I won this!